Safety color t-shirts are perfect for making a statement. 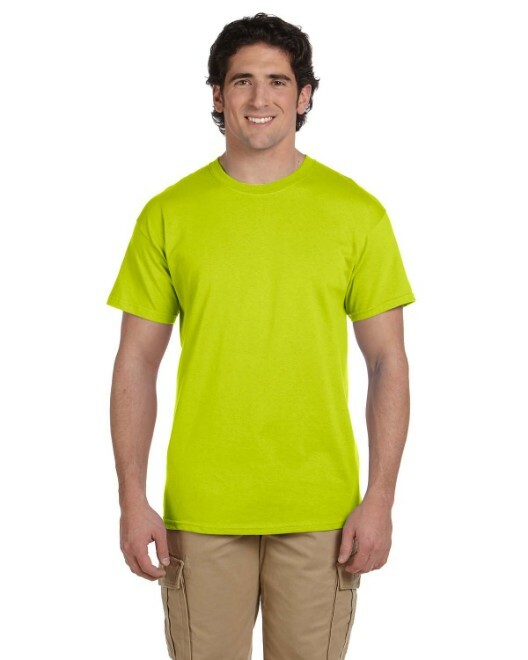 The most important attribute of a safety color t-shirt is high visibility as it pertains to a multitude of situations. The vivid color of the shirt creates a visual distinction between the person wearing it and his surroundings. High visibility colors will benefit anyone working or exercising outdoors or advertising just about anywhere. Brightly colored t-shirts are best for those who want to be easily distinguishable from their surroundings. This is achieved simply with the standard safety yellows, oranges, and greens. Some outdoor activities where safety colors are beneficial as an added layer of protection are walking, running, cycling, and horseback riding. High visibility apparel is also useful for others who are out in public. Such people include anybody from newspaper deliverers to canvassers to protesters. The extra visibility gained by wearing a safety tone makes these activities much safer by making the wearer conspicuous to motorists and other potential dangers. Safety colors also work to advertise just about anything. Some ideas for schools would be student election t-shirts, pep rally t-shirts, and t-shirts for other clubs. They are also perfect for conventions and trade shows. 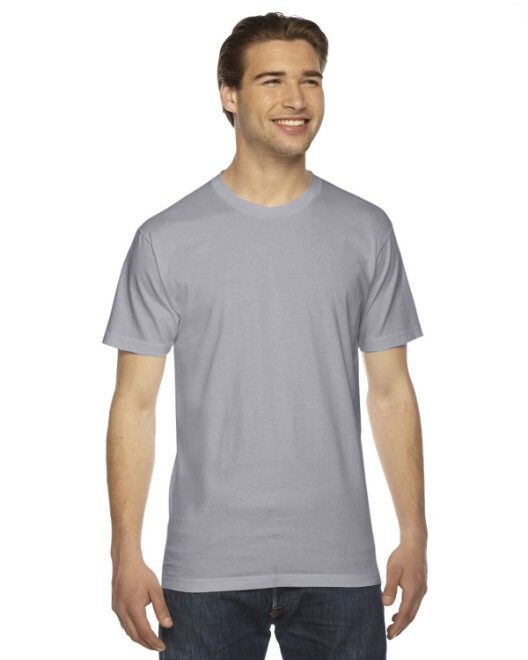 T-shirt brands like Gildan and Hanes offer safety orange and safety green to compliment the natural colors of the sky. These are very wearable and still safe alternatives to heavy duty work gear with reflective tapes and other extras. 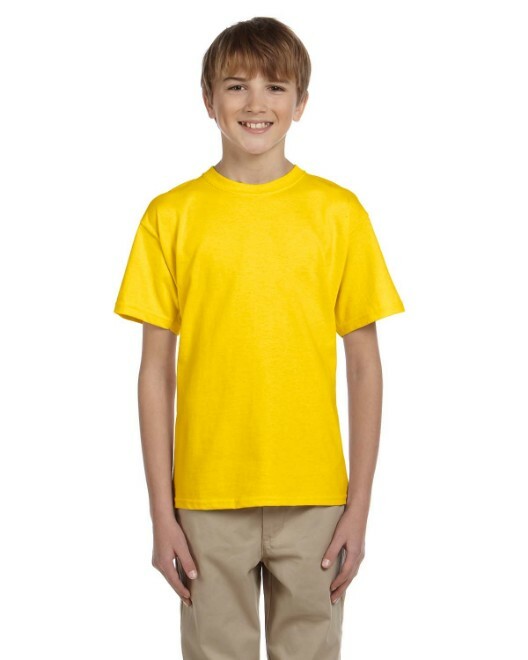 T-shirts like the Gildan G200 for adults and the Gildan G200B for youths are available in safety green and safety orange in addition to other standard colors. This classic t-shirt is a blend of 50% cotton and 50% polyester for comfort and durability in addition to its high visibility. 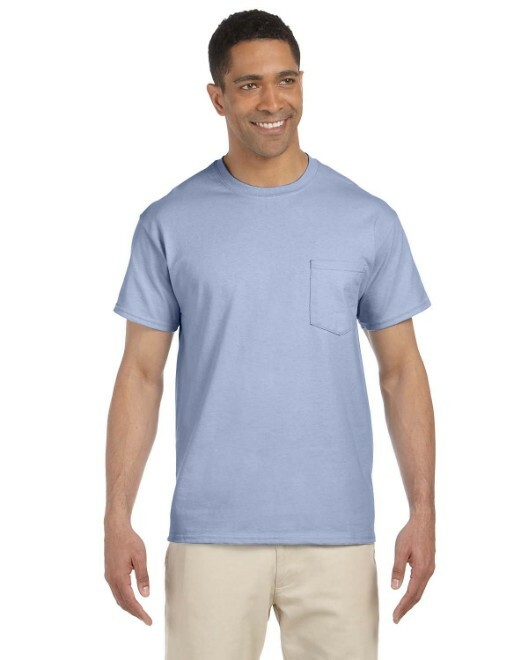 The Gildan G230 is the same adult standard t-shirt with a pocket. The pocket can be very useful while working or exercising outdoors. 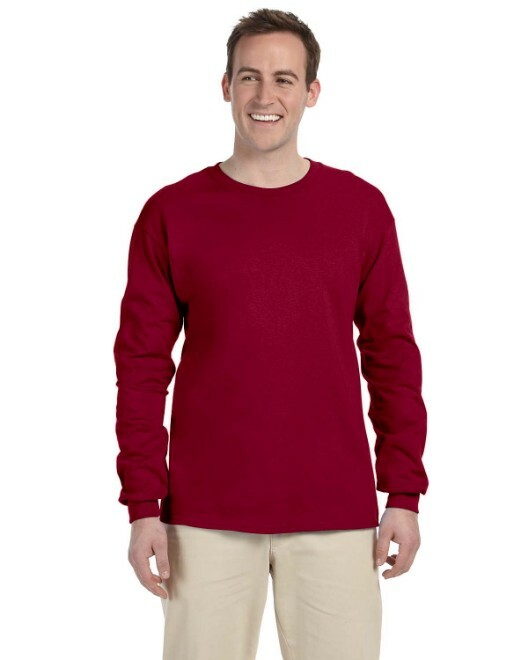 The Gildan G240 is the standard long sleeve t-shirt and the Gildan G241 is the long sleeve t-shirt with a pocket. These long sleeve shirts have the same basic construction as the short sleeve t-shirts and are also available in both safety orange and safety green. Another option is the 100% polyester Hanes 4820 Cool Dri T-Shirt. 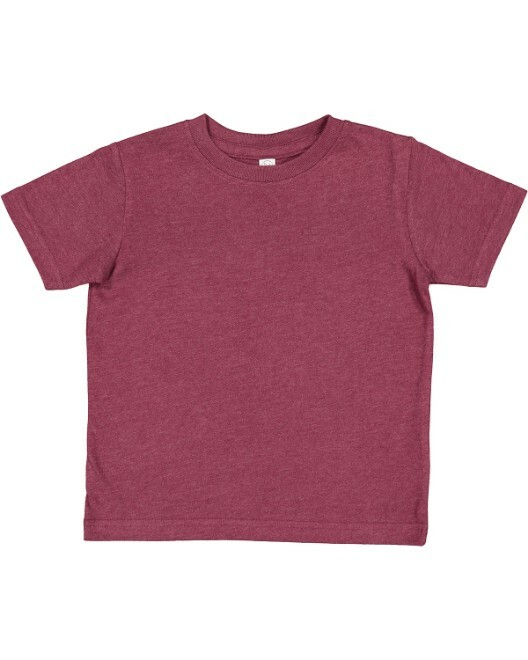 This performance t-shirt has rapid-dry fabric as well as moisture-wicking properties. It is good for screen printing and sublimation as well. It is best to print on safety colors with dark colors like black, navy blue, dark purple, and hunter green. Printing can be completed as a DIY, or do-it-yourself, with any level of artistic professionalism, from free hand with puffy paints to printing a particular image. Safety shirts are not limited to the basic t-shirts. The Gildan G748 is an adult sport shirt available in safety orange and safety green. The 65% polyester 35% cotton blend makes for a very versatile shirt. The collar and three-button placket add a professional look the safety color product line. This shirt is perfect for various people such as a foreman, a club leader, or a salesperson at a trade show. The Gildan G125 hoodie and the Gildan G126 full zip hoodie are also both available in safety colors. These 50% cotton 50% polyester blended hoodies are perfect for outdoor situations, especially in chilly weather. Safety color t-shirts are a smart investment for anyone working or exercising outdoors as well as people interested in advertising via t-shirts. The high visibility provided by the safety orange and safety green is an added layer of protection against certain hazardous situations. Remember, safety is the number one goal, and highly visible colors will get a person noticed!